Schoolhouse Teachers is a NEW and IMPROVED website which was formally know as The Teachers Toolbox. Schoolhouse Teachers is division of The Old Schoolhouse Magazine (which is amazing by the way). Schoolhouse Teachers provides your family with everything needed to have a successful homeschool year. You will find resources for all learning styles from PreK through High School. And something for every homeschool method/style as well. And the great thing is it's ALL in one place, for one incredible low price! There are loads of great resources on Schoolhouse Teachers. Which are updated daily, weekly and monthly so there is always something NEW. Each of the lessons is developed by a leading expert in their field so you can rest assured you are getting quality information. The web site is broken down into several key sections: Schoolhouse Teachers, Schoolhouse Dailies, Schoolhouse Extras, Schoolhouse Library, Schoolhouse Site Tour and Schoolhouse Samples. I highly recommend watching the introduction video so you do not feel overwhelmed with the wealth of information. 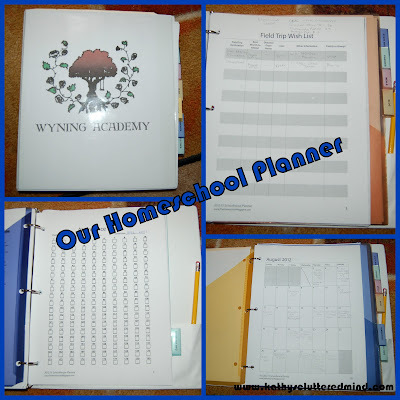 Since there are so many resources and since we just started our 2012-2013 homeschool year I haven't had a chance to utilize ALL of the resources that Schoolhouse Teachers offers but I will share some specific details on the ones I did. The first thing I checked out was the AMAZING Planners. The planners alone make a Schoolhouse Teachers membership worth while. There are 5 different planners filled with hundreds of pages of helps, planning, lessons, tips, articles, and much more! For our planning binder I utilized sheets from the Big Planner and Primary Planner. Both of these planners have wonderful forms to help you with meal, field trip, financial, household and homeschool planning. There are also loads of wonderful articles from homeschool experts like Kim Kautzer, Dr. Mary Hood, and Cindy Wiggers, as well as homeschooling parents. And there are homeschool curriculum resources like notebooking pages, recipes, story starters, math tables and helpful lists/charts (with books of the Bible, spelling and grammar rules, recommended reading, periodic table of elements, etc) and the list goes on. Next I headed over to the Everyday Easel Art Class. One thing we are incorporating more of this year into our homeschool is art and music. So when I discovered that Schoolhouse Teachers has resources for both of these I was ecstatic. 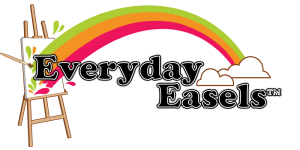 Everyday Easel Art Class has a weekly lesson plan focusing on a piece of work of art. What I really thought was great was that the lessons not only cover the work of art but also the history, geography, etc surrounding that piece of work. The lessons can be viewed online or downloaded in pdf format. The final project is then broken down by grade level K-2, 3-6 and 7-12. We will for sure be using this resource during our school year. You can even click back through and view past lessons so you will have plenty to keep you busy. And then I headed over to the Craft Shelf. We enjoy doing crafts just about everyday. I generally have no trouble finding a fun craft to do that goes along with our unit study. But now I have another great resource. Crafts are broken down by month and there are so many great ideas. The crafts are very simple. Many of them use supplies you probably all ready have on hand. Some crafts will even have a quick lesson such as the Wind and Storms craft. Most of the crafts even have pictures of the finished projects for the more visual people. We read A LOT in our house...about 5-10 books a day. So I just had to check out the Literature Section. WOW!!! 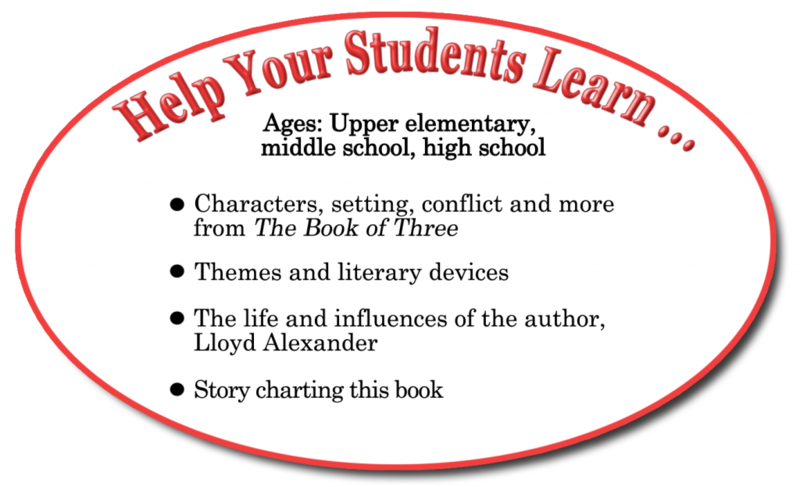 Each month there is a new literature lesson designed for K-12. The lessons cover characters, setting, conflict, themes, story charting and more. Again each lesson can be viewed directly online or printed as a pdf. I looked through the past months and was very pleased with the book selections which included The Hobbit, Velveteen Rabbit, Two Eggs Please and Treasure Island just to name a few. Even though neither of my kids like to write Copywork and Notebooking are two things we are going to start working on this year as well. As mentioned above the Planners have lots of great notebooking resources. But there is also a Copywork Section which offers 2 new copybooks every month. There are currently 12 available and lots more to come. Each month the copybooks have a theme and feature poetry that goes along with the theme. The themes covered so far have been gardening, travel, Mothers Day, French songs, Fathers and Children and Money. And the last section I am going to tell you about (because this would be a very long post if I didn't stop now) is the This Day in History. In this section you can click through links to learn more about EACH day’s historical event and find supplementary printables as well. This is a valuable resource for all grade levels. I probably spent an hour perusing this section because there is so much information. If you're looking for easy, fun curriculum Schoolhouse Teachers is where its at for sure. There is a new section currently in the works called the Nature Shelf I am looking forward to this section and cannot wait for the content to be added!!!!! This section has the wonderful planners I discussed above along with the other valuable resources you will NOT be disappointed with your membership purchase. The Old Schoolhouse Magazine - the current digital issue. TOS back issues - approximately 19 digital copies dating back to 2007. Free E-Book - a new TOS e-book each month available for download. Schoolhouse Expo - beginning this month SchoolhouseEXPO webinar recordings will be posted. 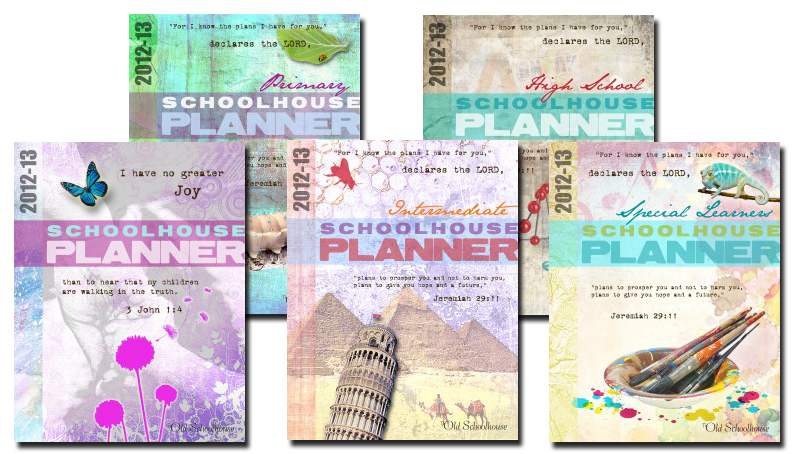 Schoolhouse Planners - includes five unbelievable, customizable PDF e-books: The 2012- 2013 Schoolhouse Planner has nearly 800 pages! Here is a 14 page sample and this is a sample of the table of contents. Copybooks - Every month 2 NEW copybooks are added! Homeschool Life - On this page, you’ll find articles that will encourage you to keep running the race. Monthly Theme- Each month there is a new theme offered. Teacher Lessons Archives - Did you miss a past months lessons? No worries they are right here. Art Shelf - Helpful articles on studying art. Craft Shelf - Need some crafting inspiration? Here you go. What's new - lists details about NEW items for the week and NEW items that you can look forward to. Schoolhouse Sample Breakdown:Wanna try some samples before you take the plunge and purchase this amazing resource then check out ALL these awesome SAMPLES. Membership included 5 Schoolhouse planners. Easy-to-use curriculum in 18 subject areas with downloadable lesson materials or video classes provided by expert teachers. And more subjects are being added monthly. Access to all TOS digital back issues. Expo to Go recorded webinar sessions ($60 value). All TOS E-Publications (includes Curiosity Files™, WeE-Books™, E-Books, and unit studies--nearly $600 value) throughout the first year of membership. Whew that's a lot of amazing resources all in one spot!!! A membership to Schoolhouse Teachers is just $1 for the 1st month! After that it is only $5.95 a month. You can cancel ANYTIME. There is also an option to purchase a year long membership for a 10% discount price of $64.26. You can even use PayPal. Click here for more Schoolhouse Teachers reviews from the The Schoolhouse Review Crew. *Disclaimer - As part of the TOS Review Crew I received access for 1 yr to Schoolhouse Teachers in return for my honest review. Please note that prices indicated in the post are subject to change. I was not compensated for my review and all opinions are our own! Many of the links found on my side bars and in my blog posts are affiliate links. As a result, I might get paid money and I will most likely spend the money on homeschool supplies.